Leeds has some of the best biking roads in the UK right on its doorstep, and one of the most well known biker pubs is just a short (scenic) ride away in Sherburn in Elmet, so why not take your CBT test in Leeds and get out there and experience them? We’re here to help you on your journey to taking your CBT test in Leeds, and we have a number of training schools in and around Leeds that will get you out on the road on two wheels. The Tommy Bee Motorcycle Training centre is located in Lofthouse, away from the busy and sometimes confusing (trust us) roads of central Leeds. Helmet hire is included and the school has a large off-road area for you to hone your handling skills before taking to the open road. 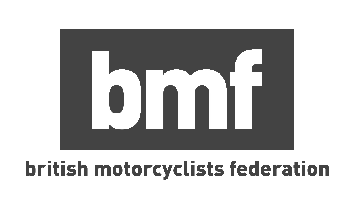 Ridesafe are a motorcycle training school located in Bradford, to the west of Leeds who provide experienced and knowledgeable instructors, to make your transition on to two wheels an easy one. If you’re based slightly further away from Leeds, up the A1, then your best bet would be 3D Motorcycle Training. This school, based at Tockwith Airfield, is MCIAC Approved, which means the training they offer is of exceptionally high standard. In fact, they’re the only school in the area approved by the MCIAC. Once you’ve taken your CBT Test in Leeds you’ll be free to explore some of the best biking roads in the UK, although, if your machine is only 50cc, it might be wise to wait until you can ride a more powerful 125cc motorbike or scooter. If you head east of Leeds towards Ledsham and then onto Sherburn in Elmet, you will get to one of the most famous biker cafes in the UK; Squires. Squires Cafe first opened in 1954 and, has been a hit with bikers ever since. It’s so popular that they had to move to new premises to avoid congestion in the village. If you’ve got a full day spare you could head to Squires for your breakfast, then continue to Bridlington or Scarborough for chips on the seaside, before getting back home in the evening. If you prefer to keep your two wheels rolling, you can head north into the Yorkshire Dales National Park. The village of Hawes, located in the centre of the park, is another popular destination for bikers, probably because whichever route you take to get there, it’s sure to be a great one. South of Leeds is the Peak District, which is also chock full of amazing roads. The most famous is the Snake Pass, which connects Glossop and Sheffield, but this road can get quite busy, especially on weekends. If you stick to some of the smaller roads you’ll unearth some real gems and come across great views (such as the one at the top of Holme Moss), and extremely picturesque villages.